« Homepage / Food and Healthy Eating / "Dairy Free – Dairy or Lactose?" Dairy Free – Dairy or Lactose? This is an allergic reaction to certain proteins that are found in cows milk. Whilst some adults are affected it is more commonly found in children and is often grown out of by age 5. There are many symptoms so as ever it is best to see your GP and get a referral to an allergy specialist. Symptoms can include diarrhoea, asthma, skin rashes, bloated or swollen stomach and headaches. This is a reaction to the sugar found in cows milk and is common in adults and older children and more common than a Dairy Allergy. The symptoms are caused by the bodies inability to break down and digest the sugar (lactose). This leads to stomach pains, bloating, diarrhoea and wind. 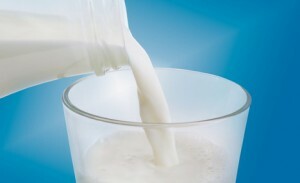 The amount of lactose that can be tolerated can vary greatly between suffers. Here you can write a comment to the post "Dairy Free – Dairy or Lactose?"